Product Consist : 1/2 Kg Dark Chocolate Cake, Cadbury Dairy Milk Silk Chocolate (Weight : 60 gms) along with Cadbury Dairy Milk Fruit N Nut Chocolate (Weight : 35 gms). 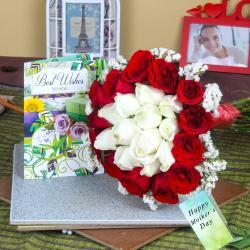 Giftacrossindia.com brings you gifts that are sure to put a smile on the face of your charming mother. 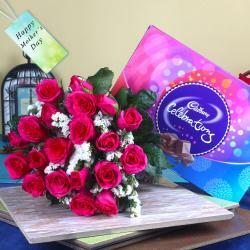 Here is a tempting gift combo which is perfect for gifting the special ones on any gifting occasion. Mother's Day celebrates the achievements and efforts of mothers and mother figures. 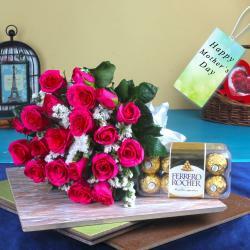 It is a chance for all children's to show their appreciation towards their mom. Cake and Chocolates just go together, and in this hamper mom gets plenty of both. Treat your dear ones with Half kg of classic round chocolate cake it is loaded with the richness layers of chocolate and dark chocolate sponge cake. Cadbury Dairy Milk chocolates is truly stands for the best tasting chocolate with its appeal lying in its smooth texture and riveting taste. Gift it to your mother today for expressing your love for them. Browse your favorite products it is very conveniently available for online shopping from anywhere in India with Same Day Delivery option. 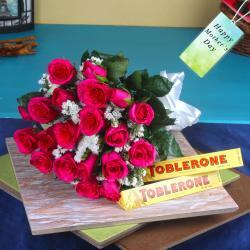 So go on and place your order now to show her how much she means to you. 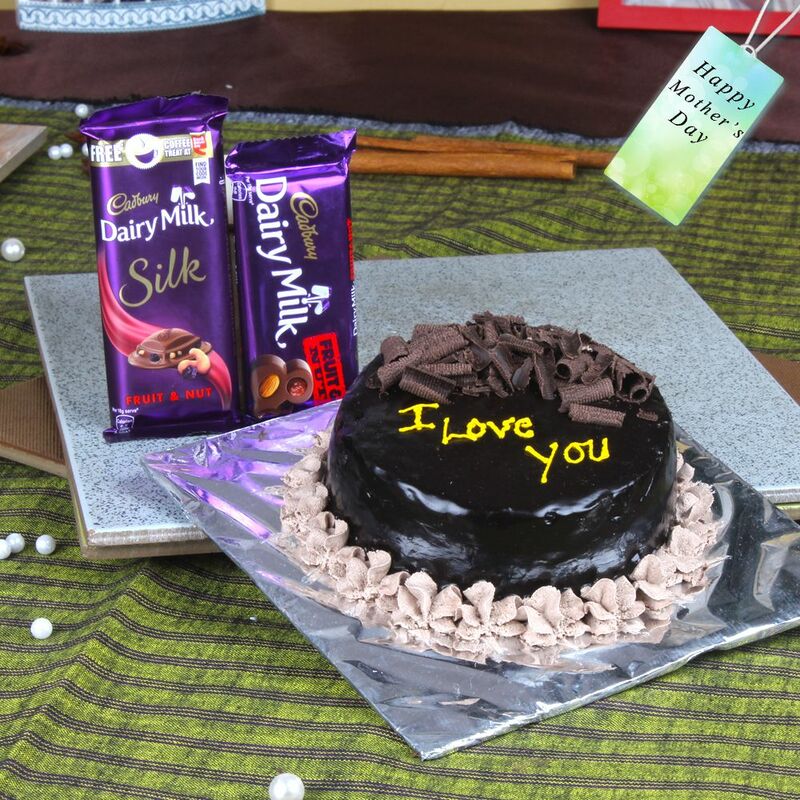 Product Includes : 1/2 Kg Dark Chocolate Cake, Cadbury Dairy Milk Silk Chocolate (Weight : 60 gm) along with Cadbury Dairy Milk Fruit N Nut Chocolate (Weight : 35 gm).